QA establishes and maintains set requirements for developing or manufacturing reliable products. A QA system is meant to increase customer confidence and a company’s credibility, while also improving work processes and efficiency, and it enables a company to better compete with others. QA testers are primarily responsible for checking new software products such as those for gaming systems or mobile applications, for defects or issues. They are also known as quality assurance technicians or software quality assurance engineers. As you search on the internet you’ll find many definitions, but what is important to understand is what we actually do. We run various tests on software to ensure it meets all standards and guidelines and is ready to be marketed to consumers. We identify issues and run debugging programs as needed. As QA testers we also generate reports, work with software developers to correct issues, and upgrade databases as required. We’re responsible for the quality of software development and deployment. We perform automated and manual tests to ensure the software created by developers is fit for purpose. Some of the duties include analysis of software, and systems, mitigate risk and prevent software issues. What value does QA bring? Testing is about finding problems (deep within the software) and learning more about the software at a particular time and to give the information back to the team in a clear and concise way. Undoubtedly, QA Services can provide you with so much more than just saved costs. We provide real satisfaction through QA analysis and quality assurance project plans. Time is saved over the life of a project, and what is most important for us – our Client receives a product that meets their requirements and expectations. We all know it is always better to prevent than to cure. 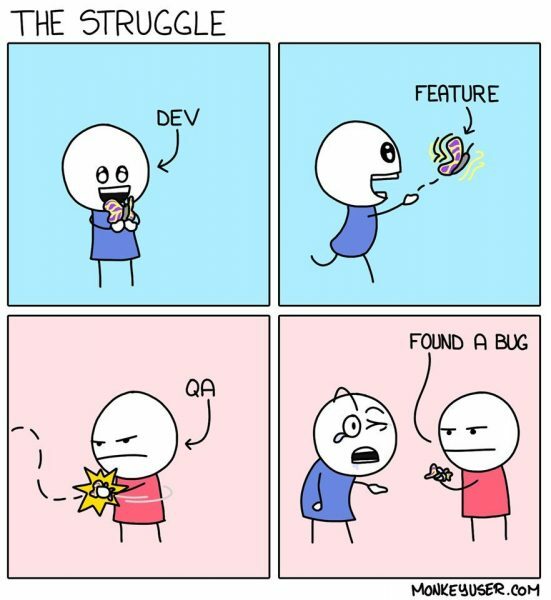 Some companies think that they don’t need dedicated QA teams, but it will cost so much less to rework code, and fix bugs before the product has been delivered than after. It is our job monitoring each step of the software development process to ensure that high-level quality standards are maintained.